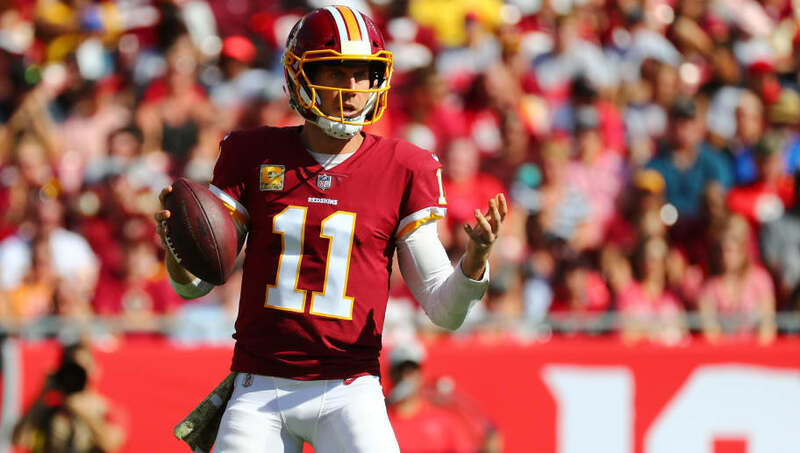 After taking an early lead over the Tampa Bay Buccaneers early in Week 10's 16-3 win, the Washington Redskins may have become the most predictable team to live bet on in the NFL this season. I know what you're thinking, though. How does a 6-3 Redskins team that has also posted an identical 6-3 record against the spread show any more obvious betting hints than the 31 other teams in the league? The answer to that lies hiding in plain sight behind an incredible pattern, or lack thereof, of lead changes. Every one of the Redskins' nine regular-season games played this season have ended without a single lead change. That means if you placed a live bet on the first team to score in every single of Washington's nine games this season, you would have also correctly bet the eventual winner of that game all season. And still no lead changes in any Redskins game this season. Could soon be a historic streak. Nine consecutive games without a single lead change for a team that's won six and lost three of those nine matchups is an incredible streak, and certainly something to keep an eye on as we move further into the season.